Click here for tickets on the DC Labor FilmFest AFI page. See below for detailed film write-ups and trailers, dates, times and links to purchase tickets. James Franco stars as a fiery union organizer who sets out to organize apple pickers in Central California during the 1930's with his young protege (Nat Wolff). Based on the first major work of Pulitzer Prize-winning author John Steinbeck, this rousing tale of workers fighting for a few more dollars a day takes on modern relevance as workers across the country today strike for a living wage. Peter Miller, US, 2006, 80 min. When a series of package bombs show up on the doorsteps of prominent politicians and businessmen in the summer of 1919, U.S. Bureau of Investigation Agent William Flynn (David Strathairn) is assigned the task of finding those responsible. This re-telling of the story of anarchists Sacco and Vanzetti explores the disintegration of civil liberties during times of social unrest. A timely thriller with eerily similar parallels to the contemporary war on terrorism, as immigrants who had worked and lived in the United States for decades -- in those days mostly of Italian and Russian descent -- were suddenly labeled undesirables and detained without due process for several weeks, even months. "A tribute to those who have stood tall for human rights in the face of adversity," says director Terry Green. MATEWAN (WITH DIRECTOR JOHN SAYLES! 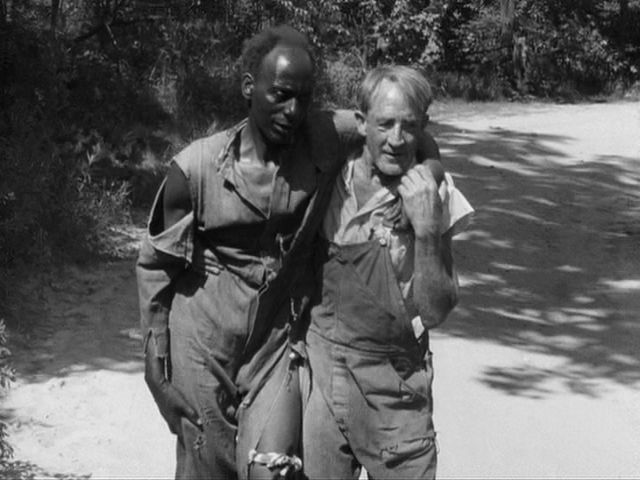 Narrated by Paul Robeson, Native Land, employs a cast of familiar if not stellar character actors in a story of how certain enemies within the US have done their best to suppress their fellow citizens' rights to freedom of speech, freedom of religion, freedom of assembly and freedom from want. This 1942 film directed by Leo Hurwitz and Paul Strand, echoes today's depictions of capitalism’s war on the common man. Vincent Lindon gives his finest performance to date as unemployed everyman Thierry, who must submit to a series of quietly humiliating ordeals in his search for work. Futile retraining courses that lead to dead ends, interviews via Skype, an interview-coaching workshop critique of his self-presentation by fellow job seekers; all are mechanisms that seek to break him down and strip him of identity and self-respect in the name of reengineering of a workforce. Directed by Stéphane Brizé, this 2015 film pushes the viewer to critique the realities of our new economic order and labor system.